Finally got around to downloading the fansub copy of the Cagliostro Blu-Ray fansub, which uses the exact same subtitles from the Manga DVD. The movie looks terrific, much better than the DVD releases. So I'm sharing screenshots from the magnificent title sequence (uncut, of course). This is a favorite sequence of mine, as it brilliantly establishes the mood of the film, while also showing a glimpse of these action heroes on their off-hours. 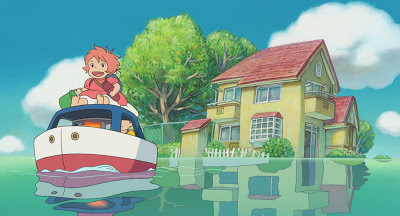 I've written about this before, when discussing the 2006 Manga DVD reissue. I'm still cranky about the title scene being chopped up on that release, and I've never really touched it since. 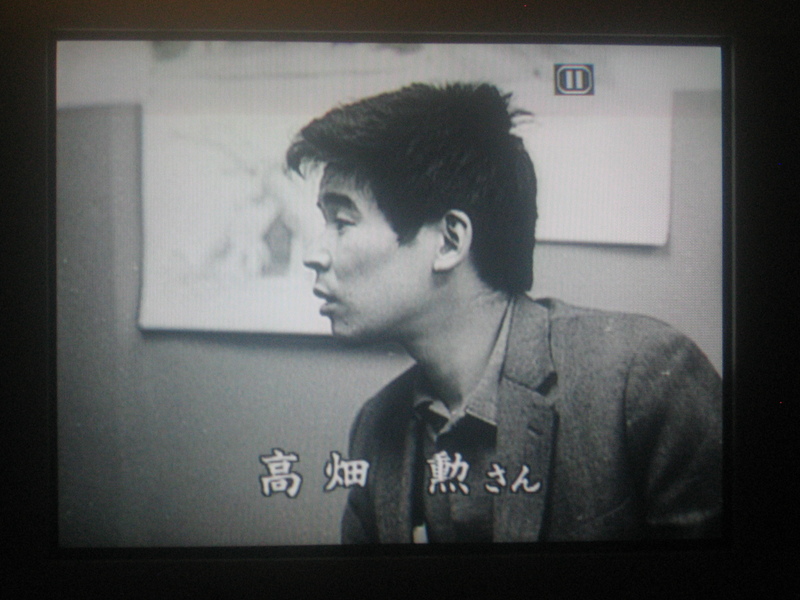 The picture quality may have been a great improvement over the original Manga DVD, but I just couldn't accept the cuts. 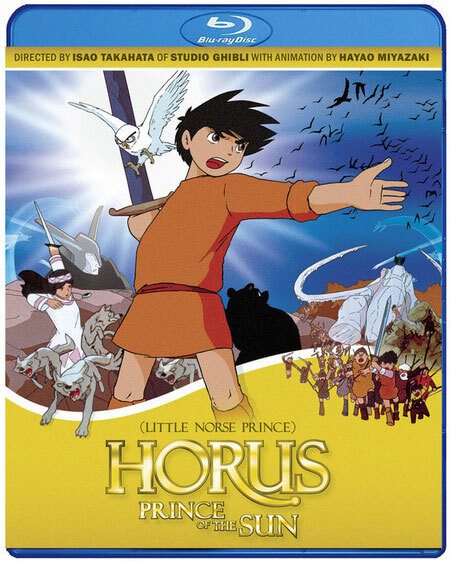 I only hope that Manga and Telecom can figure this out whenever they decide to release the Blu-Ray in North America. I think my favorite element in this scene is the theme song. It's so wonderfully sung and flows so nicely. It has the feel of a Leonard Cohen song, doesn't it? 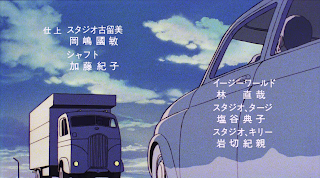 All of the music in Castle of Cagliostro is excellent. Definitely dated to the late '70s, yes. But that's what makes it great. I just finished checking out your Ebert Ghibli critiques and now this. 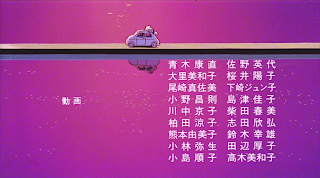 I love the fact that even in an action packed Lupin movie, Miyazaki takes the time to make his heros appreciate the beautiful world they live in. He also makes more Lupin more appealing and gives him a bit more depth. Such as when Lupin is fighting his more predatory instincts in regards to the princess at the end of the film. Yeah, I have a bad habit of being creatively inspired after midnight. The whole 8-5 thing doesn't work for me. Besides, I told myself to post these photos yesterday, and time is going to be short for me this week. I enjoy the quiet reflective moments in this film. As I've written about in earlier posts, I think there's a sense of sad resignation to this movie, much like La Dolce Vita. I think Lupin is tired of the game and wants out. Clarisse represents a lost innocence that he can never regain, and I'm sure he very much wants to run away with her and start a new life. One notable change between Miyazaki's Lupin and the Monkey Punch comic is that the character is much more the gentleman romantic, and not the sexual predator. 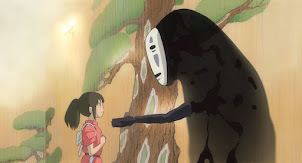 That's probably a sore point with the dedicated fans, but it's a clear example of Miyazaki inserting himself into his characters. I much prefer his classic movie romanticism. 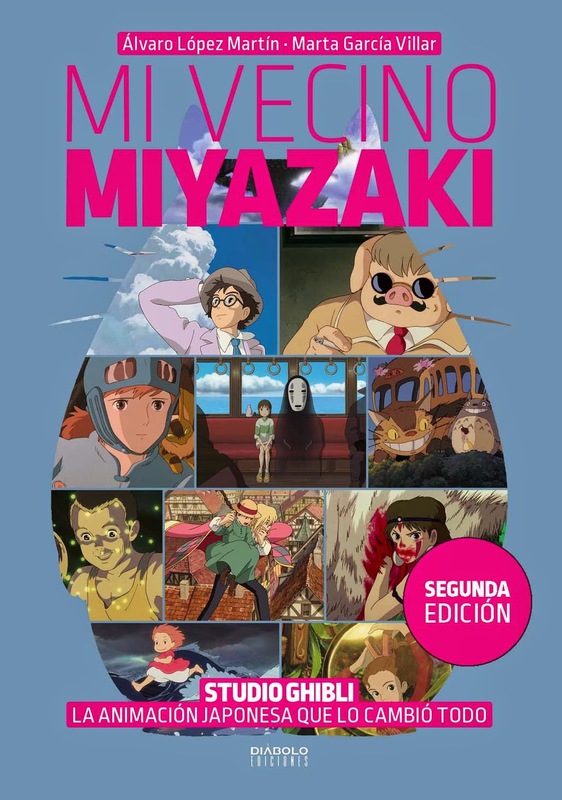 I am a fan of Lupin and, yet, I like Miyazaki's rendition of his character much more than the originals... 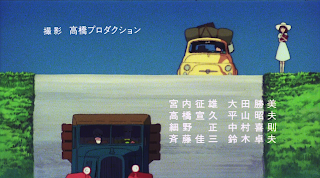 Both Cagliostro and the two episodes from the second series show a much different side of Lupin. I am going to offer my own multi-audio 1080p, 720p and 480p encodes of Cagliostro really soon. Thanks a lot, Neo. I'm always glad to help out. 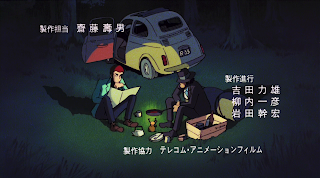 I have a question regarding the two "red jacket" Lupin episodes. 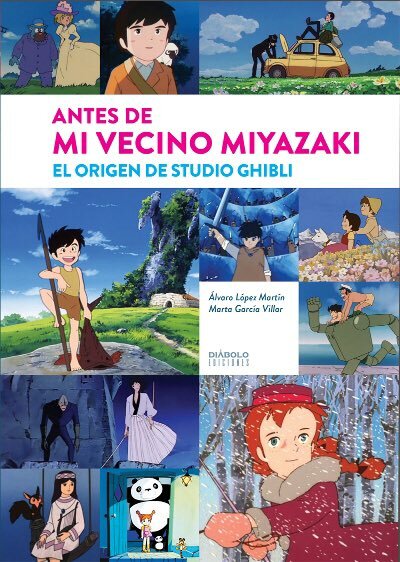 Is there a way we can get fansubs of the Japanese-language version? 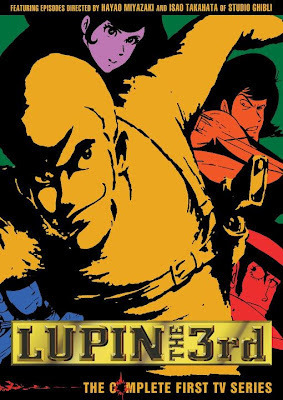 It's fine having the old "Lupin's Greatest Capers" videotape from years ago, but I really would prefer to see DVD-quality video, and the original soundtrack with Yasuo Yamada. Nobody else could play Lupin III like him. 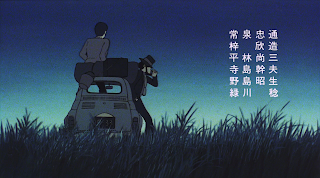 To me, the definitive Lupin III will always be the original 1971-72 series, the Yasuo Otsuka series that Miyazaki and Takahata joined. 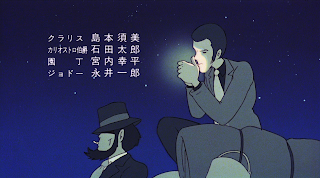 That's the Lupin that Cagliostro points back to, and much of the movie's plot is taken from several episodes of the tv show. In 'Castle of Cagliostro' besides Lupin all other main characters are more likeable too, especially Zenigata, which has many good scenes. 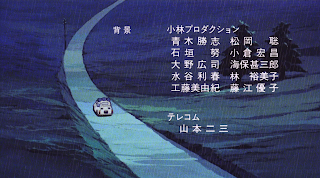 Take the one where he enters the crypt with Fujiko following him with the camera or that one at the end where he notes that Lupin has stolen Clarisse's heart for example. 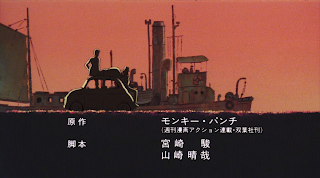 And I love the intro with the 'Fire Treasure' song too, Yuji Ohno is fundamental to Lupin, no doubt about that. I love that scene where Zenigata is chasing the camera down into the castle's printing presses. "Oh, no! I came here looking for Lupin, and I found this counterfeit money! What should I do?!" Hah! What a ham. The only real villain is the Count; everybody else is just part of the goofy family. For me, working past a 2 litre of Diet Dr Pepper is a challenge on rough nights! The first exposure I had to the character personally, not really knowing how different the character was until I read the manga. 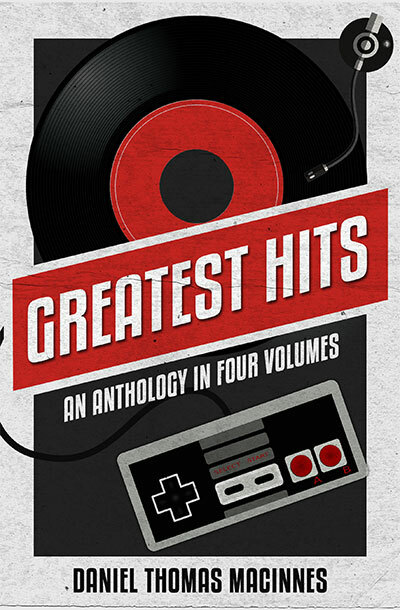 I wanted to put out a European edition myself that would include the audio tracks in Spanish, French, German and Italian, as well as the English dubs from both Streamline and Manga along with the Japanese (would be a challenge to sync them all). Oh well, I still had my VHSrip I made a year or so back from a copy I had of the tape. I thought I did a good job on it, though for whatever reason, I noticed the audio was in stereo, and in reverse, but I didn't feel like fixing it since it was inherited in the tape itself. Noticed over at BakaBt it's labeled as an "OVA" when it's really a TV series (or two episodes thereof). You wonder why someone hasn't gotten around to doing it (and since Pioneer/Geneon didn't get that far, it's still up for grabs). Still need to check out that series personally. Yeah, definitely need to watch the 1971 Lupin III. Only 23 episodes, but it was terrific from beginning to end. One of these days, I'll write a summary of all the episodes. Somebody remind me to do that if I forget! It's marked as OVA because it's "always been like that". Series tag refers to a complete set of episodes. I guess then it's just a matter of finding where those two Red Jacket Lupin episides are found (on which DVD releases). I'm surprised the fans haven't done that a long time ago. 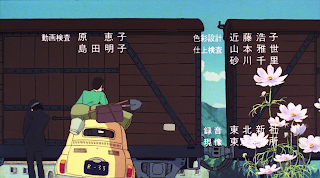 If you're referring to ILA's fansubs for the 1971 Green Jacket Lupin, 23 episodes was the entire series. They did fansub all of the episodes. The series only ran two seasons and was not a ratings success. Its popularity grew over time in syndication - just like Star Trek. Space Battleship Yamato could be a good example of that as well as an anime equivalent. Neo, I have downloaded the 720p fansub that Daniel linked. Please respond here if you ever seed a 1080p version. I agree with you that the credits shouldn't have been freeze-framed like that, but that misdeed is the fault of TMS, the animation studio that produced the film. TMS is infamous for creating "international versions" of their animated films. 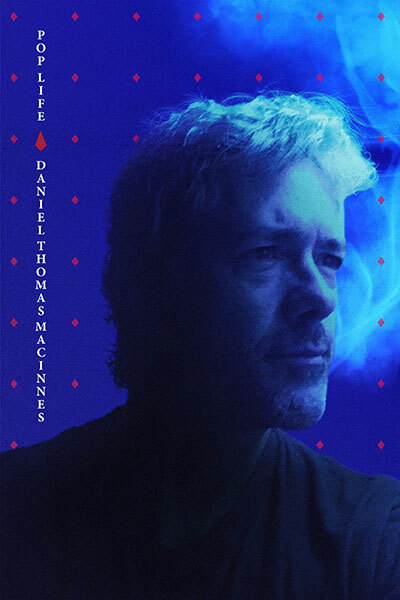 Now, normally, this would mean textless versions of the movies, but instead, TMS bafflingly chooses to zoom in and freeze-frame the opening credits for the U.S. Release. 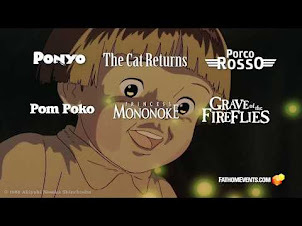 So please don't bash Manga Entertainment. They can't work with something they were never given. Sorry if this sounds rude, I didn't mean for it to be. 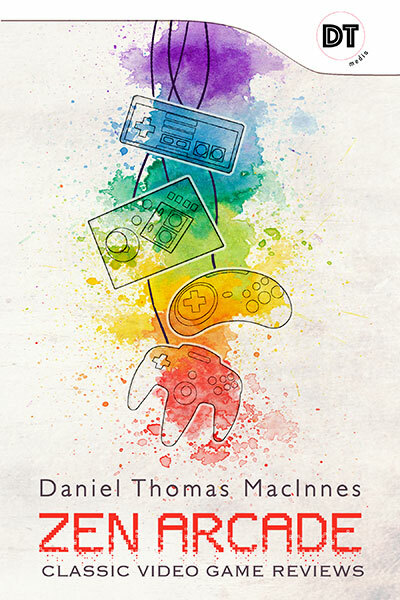 I'm just trying to make the point that TMS needs to start respecting their own works when licensing.